It’s December, which means it’s officially time to break out the Christmas decorations! But where to put them? Don’t worry, CW Interiors has you covered with tips on decorating your home one room at a time. Let’s bring the holiday magic to every room in your home this year! You don’t get a second chance at a first impression, so go for the gold and really deck out your entryway this year! Greenery is a popular Christmas decoration, from garlands and wreaths to simple sprigs, and we can’t get enough of it! You can tie your holiday aesthetic together by using the same collection of greenery throughout your home or get wild and mix things up! Use a different type of greenery in each room to give them all unique perspectives. Once you’ve selected your greenery, bring some fun to the space with a Nutcracker Butler to greet your guests with a plate of treats! Use your Christmas tree as the star of the living space! You’ll want to make sure it really shines bright by decorating it from top to bottom with sparkling lights, beautiful ornaments, and wrap it all up in a lovely tree skirt. And don’t forget those presents! Not only are they thoughtful gifts for your loved ones, the ornate wrapping paper and sparkling ribbons turn them into wonderful decorative art works. Use candles (and your greenery!) as accent pieces throughout the entire space for a soft holiday glow. 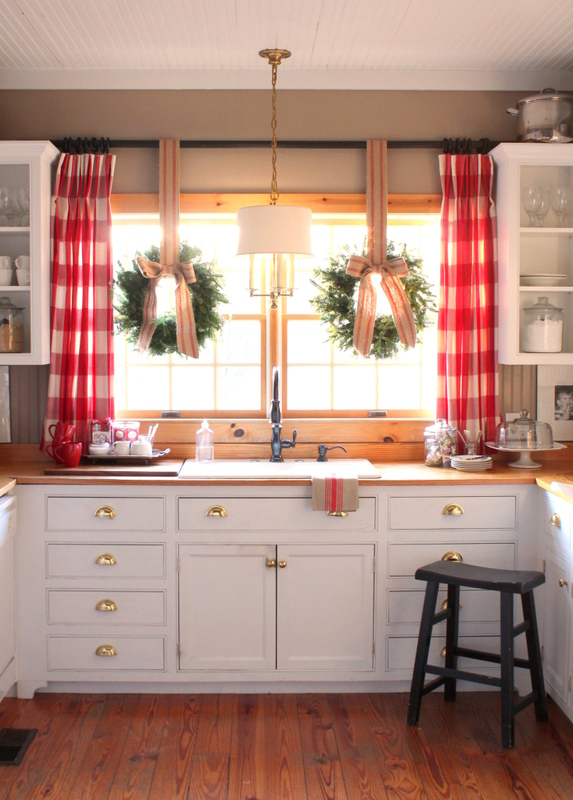 What better way to experience holiday cheer than baking in a kitchen decked out in Christmas decor? Our personal favorite kitchen adornments are garlands atop the cabinets or above the range (no too close though!). Don’t stop at the cabinets, though. A festive choice in baking pots and pans can add the perfect holiday touch for when Santa’s elves stop by to help bake yummy cookies. The best part of the holiday season is sitting down to eat good food, surrounded by good people. Whether you’re having a breakfast quiche on Christmas morning, or finishing out the day with a honey roasted ham, the dining room is a prime spot for creating your very own holiday look. The dining room table is another opportunity to integrate greenery into your home. A garland with battery-operated shimmer lights will look great as a table runner whether the lights are on or off! If garland table runners aren’t your thing, a cloth runner in bold colors will accent your holiday-themed tableware and place settings just fine. As always, feel free to stop by the CW Interiors Brighton store to speak with one of our lovely designers! We’re always happy to help you find the perfect piece (or pieces!) to really bring a room together. Now, go forth and bring the holiday spirit into your home! What’s your favorite holiday decoration? Show us: Follow us on Instagram @cwinteriorsbrighton and use #cwholidays with your photos!